Build inclusive and equitable organizational cultures. 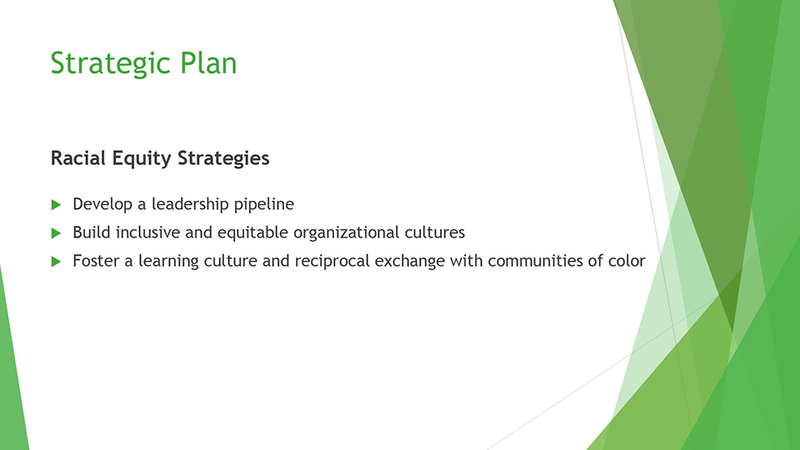 Develop a Racial Equity Leadership Pipeline. Foster a learning culture and reciprocal exchange with communities of color. 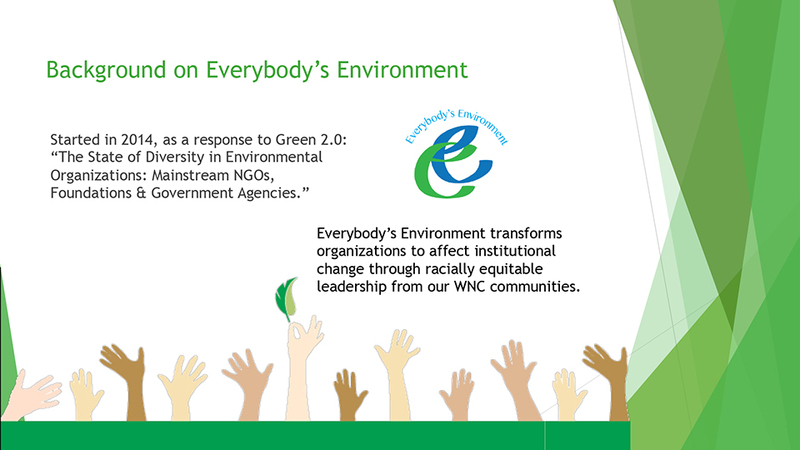 The group originally formed after Green 2.0 (an initiative dedicated to increasing racial diversity across mainstream environmental NGOs, foundations and government agencies) published a report on the state of diversity in environmental organizations. The report, titled “The State of Diversity in Environmental Organizations: Mainstream NGOs, Foundations & Government Agencies”, is the most comprehensive report of its kind. 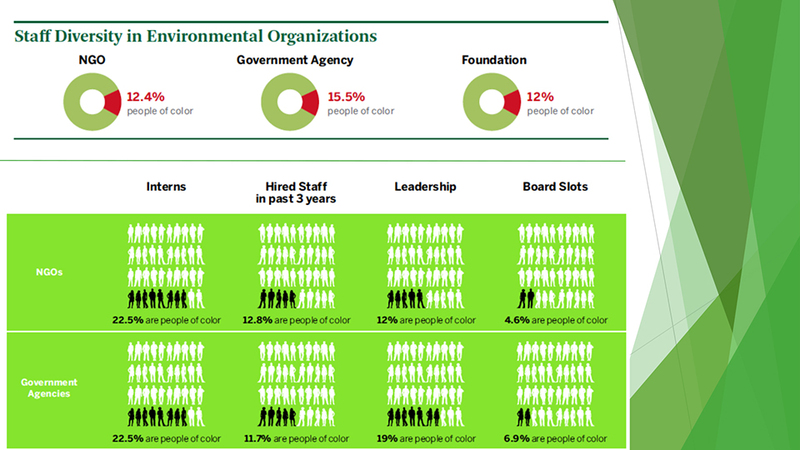 The report found that people of color in environmental organizations and agencies have not broken the 12% to 16% “green ceiling” that has existed for decades. 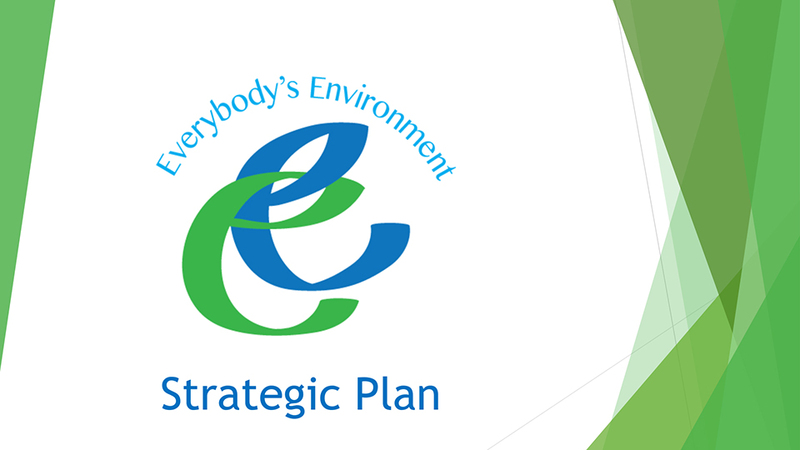 This report inspired the need for environmental and community organizations in Asheville to collaborate toward integrating the needs of the community into their long-term plans. Daniel “The Blackalachian" White visits Asheville to inspire youth and the community to get outside! Planned public visit and presentation by Audrey and Frank Peterman. 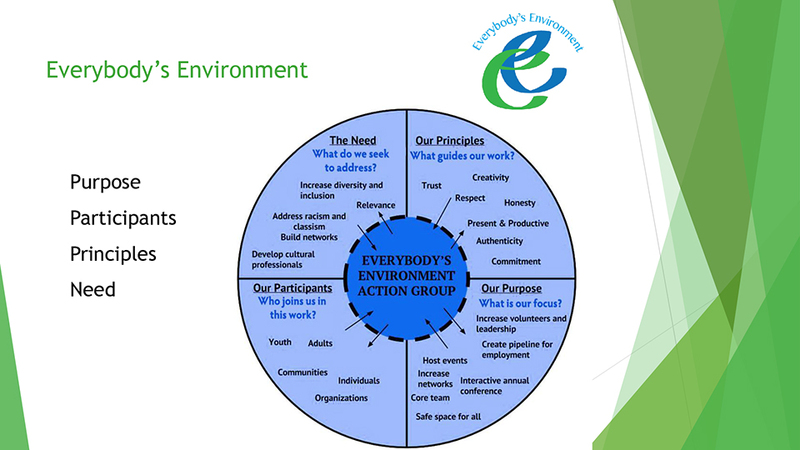 Continued Racial Equity Workshop training for Everybody’s Environment participating partners’ staff, volunteers, and Board members. Visit and public presentation by Dr. Carolyn Finney. 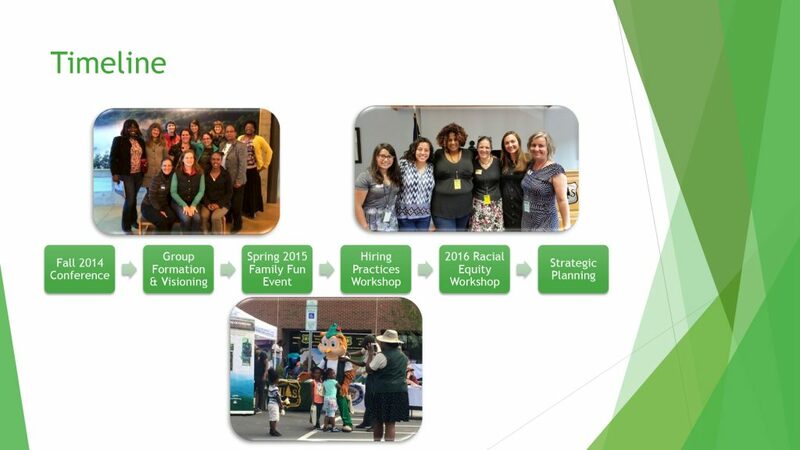 Racial Equity Workshop training for participating partners’ staff, volunteers, and Board members, followed by facilitated strategic planning process. Family Fun Festival at the Edington Center, with 350 attendees. Full day conference in October 2014, with 100 attendees. 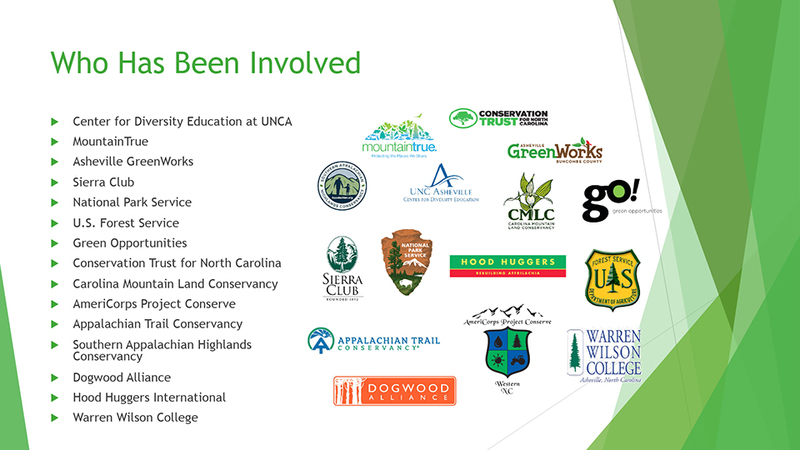 Deborah Miles, Center for Diversity Education, convenes a meeting of representatives from environmental organizations and community groups across the region.